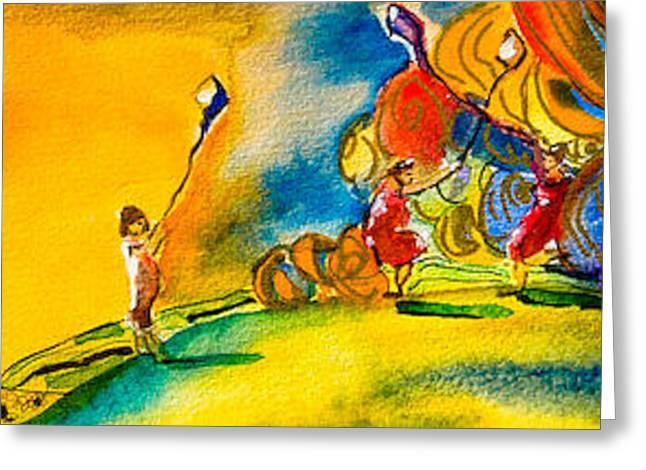 Kites On Palouse is a painting by Lolly Owens which was uploaded on October 5th, 2010. The Palouse area of Inland Northwest is known for its rolling hills and high winds. 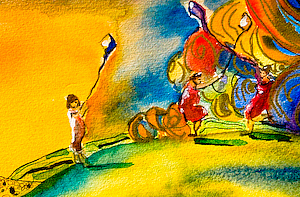 Three fun loving women fly kites on the Palouse...no easy feat! Thank you. Your artwork is exciting and very different. I especially liked the Jay Leno piece.